An extended version of the INNOVATION SEEDS portal is now available, building on the success of its predecessor with practical, bottom-up information on eco-innovation from a variety of sectors. The portal is a user-friendly source of knowledge for policy makers, companies and other stakeholders. New case studies uploaded to the portal include the use of recycled asphalt in road construction in Bremen (Germany), the introduction of electric buses in Vienna (Austria) and a community-based approach to procurement in Finland. 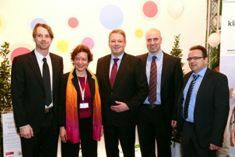 INNOVATION SEEDS was first launched in 2011 with the aim of increasing the impact of environmental research in Europe. The original portal included a database of success stories, with each article describing the added value of a specified research and development (R&D) initiative based on the technical functions it was able to fulfil. This helped potential users to better understand what the R&D initiative could be used for, and how it might be brought to the market. In addition, articles, webinars and video news releases promoted new environmental technologies and knowledge to policy makers and market players. 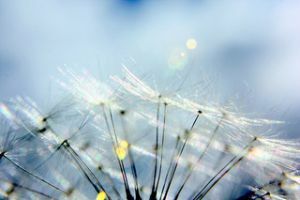 The new INNOVATION SEEDS portal enlarges the original database by including additional cutting-edge knowledge on eco-innovation cases and funding, as well as expanding its categories and adding articles on eco-innovation policies and networks. The portal’s intuitive linking and quick navigation features, as well as the use of the TRL (Technology Readiness Scale) and GML (Generic Maturity Level) scales to clearly explain results, allow visitors to easily access information which is relevant to their needs. Free training materials for both trainers and procurers have been made available on the GPP2020 website. They are available in the eight project languages (Catalan, Croatian, Dutch, German, Italian, Portuguese, Slovenian, and Spanish) and offer solutions to difficulties and doubts which arise frequently when transitioning to low carbon procurement. 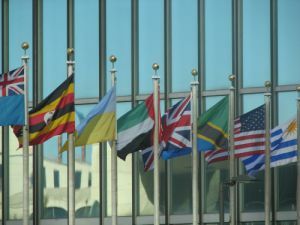 Developed by the GPP2020 consortium under the lead of the Ecoinstitut, the training packages are tailored to the specific political and administrative conditions of each country. GPP2020 works to increase awareness of green public procurement (GPP) and mainstream low-carbon procurement across Europe by providing training, technical support and implementing low-carbon tenders through project partners. The project aims to help achieve the EU goal of a 20 percent reduction in greenhouse gas emissions, a 20 percent increase in the share of renewable energy and a 20 percent increase in energy efficiency by 2020. The training materials were developed to help procurers increase implementation of low carbon procurement and to allow other trainers to act as multipliers, equipping them to provide low carbon procurement training. They are free to download in PDF format from the GPP2020 website. If users wish to adapt them to make them more relevant to their specific situations, they should write to info@gpp2020.eu to receive editable versions. The EU-funded One Planet Economy Network (OPEN) has developed a free online tool to help policymakers analyse the environmental impacts of different policy options. The EUREAPA tool allows users to understand and evaluate the future environmental impacts of potential policies and helps them to choose more sustainable options for the future. 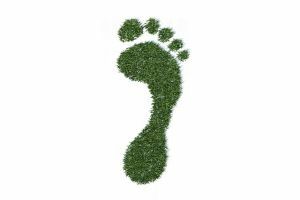 The tool was created by combining a range of indicators including ecological footprint, carbon footprint and water footprint measurements into a ‘footprint family’ which allows users to foresee the multiple impacts that a policy, such as increased production efficiency, might have on each of these areas. It also lets users set individual targets for each footprint and calculate the changes required to achieve these reductions. 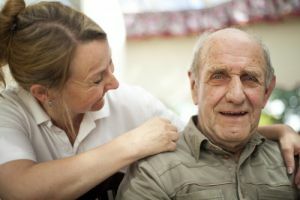 Developers incorporated user feedback and testing at every stage of the design process to ensure the EUREAPA tool was as useful and usable as possible. The developers hope that the user-friendly interface will make it an integral tool in improving sustainability at a strategic level. In future, they hope to introduce more indicators of environmental impact more local information, to make the tool even more useful in predicting impacts within a specific town or region. 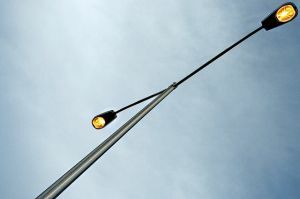 Suppliers specialising in ICT, lighting architecture and engineering are asked to contribute to a pre-commercial procurement (PCP) market consultation process investigating options for smart public lighting in European cities. Details of the consultation were published in a prior information notice (PIN) released by the ENIGMA project in late March. The PIN precedes a formal procurement process on the part of ENGIMA’s five partner cities Eindhoven (Netherlands), Malmö (Sweden), Stavanger (Norway), Espoo (Finland) and Bassana del Grappa (Italy). The partner cities want to upgrade their public lighting infrastructure using ICT solutions to encourage more integrated, smarter cities which work for the benefit of individual citizens and broader society. Through the PCP, they are looking for smart lighting systems that can be easily integrated into different architectures and systems, now and in the future. All interested parties active in the sectors of lighting, ICT, architecture and engineering are invited to participate in this market consultation to help gauge what is currently available on the market. Suppliers are asked to email a completed Response Form to consultation@enigmaproject.eu by 1 May 2014. A series of market workshops across Europe in late April will facilitate further exchange of information between the ENIGMA partner cities and the supply chain, and enable the development of a procurement strategy and specifications. 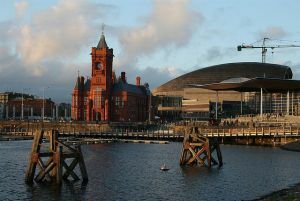 The Welsh government is hoping for annual savings of around £25 million (approximately €30 million) following the introduction of a National Procurement Service (NPS) to coordinate contracts for spend across the public sector in Wales. As well as saving money, the new service is expected provide a boost to local jobs by directing public expenditure to Welsh companies and developing more sustainable local supply chains. The NPS is formed of more than 70 organisations with a combined annual public procurement expenditure of £4.3 billion. Just under a third of this is on common and recurring purchases of goods and services such as stationery, office furniture, IT and transport fleets. By working together, local authorities, health boards, universities, colleges, fire and rescue and police authorities can leverage their joint spending power to eliminate duplication, reduce expenditure and encourage a more sustainable and efficient procurement model. Finance Minister Jane Hunt said "The creation of the NPS […] demonstrates that in Wales we can develop innovative approaches through a public sector that is prepared to work collaboratively across organisational boundaries for the greater good. [...] The NPS will follow the best practice set out in the Wales Procurement Policy statement published last year which will not only make it easier for suppliers to engage but will also provide crucial opportunities to develop local supply chains with local Welsh businesses." Vincent Berrutto, head of energy efficiency in buildings, industry, equipment and transport for the European Commission, announced the winners of the Euro-Topten Product Competition at the international trade fair “expoEnergy Wels 2014” in Austria. Set up to reward the most sustainable products, the company V-Zug took home the prize in the tumble drier category, while Panasonic and Onlux won in the television and LED lamps categories respectively. V-Zug's Adora TSL WP tumble dryer impressed judges with its energy consumption of only 152 kWh per year, making it eligible for the exclusive A+++ energy efficiency class. Panasonic's television managed to greatly reduce energy usage though an optimised LED backlight, achieving an A++ rating. The winning LED lamp, produced by Onlux, was considered to be an excellent equivalent to a 60W incandescent lamp, and achieved an energy efficiency class of A++. The manufacturer's information for each winning product was verified by VDE (Association for Electrical, Electronic & Information Technologies), an independent and accredited testing laboratory. Topten.eu is a consumer-oriented online search tool, which presents the best appliances in various product categories. The key criteria are energy efficiency, impact on the environment, health and quality. The INNOCAT Procurement of Eco-Innovative Catering Project aims to bring together public and private buyers to publish a series of tenders for eco-innovative catering products, services and solutions. Through doing so, the project hopes to provide a sizeable launch market for new solutions, encouraging eco-innovation in the catering sector. At least four tenders will be launched over the course of the project. The first of these tenders was recently launched with the publication of a Prior Information Notice (PIN) for the procurement of Vending Machines. The procurement is being lead by the University of Sheffield (England) who together with INNOCAT partner Johnson Matthey Fuel Cells have brought on board a number of other universities and organisations who are interested in increasing energy efficiency and reducing the carbon emissions that arise from vending operations. This Buyers Group intend to set a new standard for Low Carbon Vending. As the tender will be a public contract, the contracted solution will be accessible for all organisations participating in the Buyers Group. 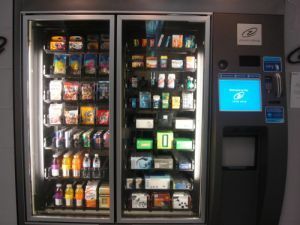 A market sounding exercise will be carried out over the coming months, to find out what new solutions are available on the market and to demonstrate that there is a growing demand for energy efficient, low carbon vending machines. A new global programme will harness the power of the trillions of Euros that governments spend on public procurement each year to push towards a more resource-efficient world. The Sustainable Public Procurement (SPP) Programme – the first action to get underway as part of the 10 Year Framework of Programmes on Sustainable Consumption and Production (10YFP) – will assist governments to redirect public spending into goods and services that bring significant environmental and social benefits. “The Organization of Economic Co-operation and Development nations spent an average of 13 percent of Gross Domestic Product on public procurement in 2011, while in some developing nations this can hit 20 percent. This adds up to trillions of dollars globally, demonstrating the scale of the opportunity ahead,” said Achim Steiner, United Nations Under-Secretary-General and UNEP Executive Director. “Governments can use this potential to lead markets onto a sustainable path by demanding goods and services that conserve natural resources, create decent green jobs, and improve livelihoods around the globe.” The SPP Programme—co-led by the UN Environment Programme (UNEP), ICLEI – Local Governments for Sustainability, and the Korea Environmental Industry and Technology Institute (KEITI)—will enable this shift by improving knowledge of sustainable procurement’s benefits and supporting implementation through access to experts and tools. 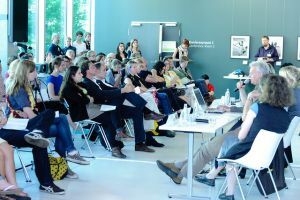 The success of the HAPPI innovation platform was helped by the organisation of four information days in major European cities: London (UK), Paris (France), Turin (Italy) and Vienna (Austria). These events gathered over 400 participants, mainly SMEs, and helped buyers to research the market, raise awareness and open the dialogue between demand and supply-side.